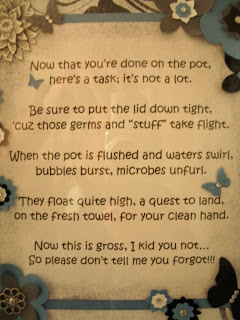 Sherry"s Stamped Treasures: Home Decor - for the Bathroom?! Home Decor - for the Bathroom?! 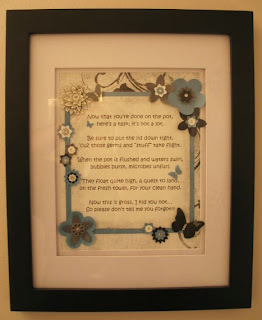 She used a combination of dsp, punches, stamps and big shot dies to create this beautiful decor for her bathroom. 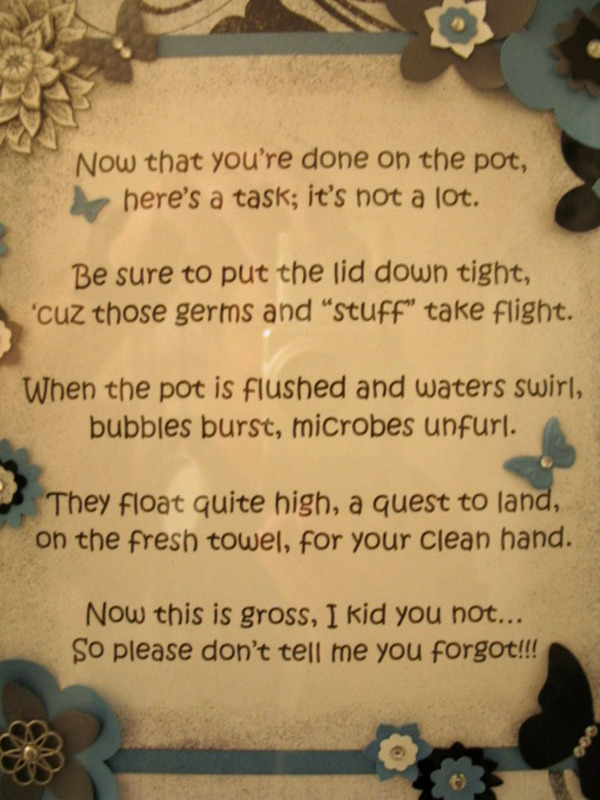 But it's practical too - the poem is a reminder to everyone:) It's hard to read from the full photo so I'll post the close up as well. Sue wrote this - isn't it adorable?! She got the idea after watching an episode of Dr. Oz. I will definitely be creating something like this for our bathrooms... hmmm maybe in MDS2?! Thanks so much for sharing Sue!